I just wanted to take a minute to thank everyone we worked with in replacing our roof. We had such a difficult time in getting our mortgage company to follow through that it took over a year from start to finish to complete the process with the roof. Everyone on your staff was extremely patient with us as we dealt with what felt like endless obstacles and resubmitting the same information. I apologize to them as well as I know we were not the only ones frustrated by the whole experience. I have already recommended Peak Roofing Contractors to another neighbor! Peak recently installed a copper gutter system that we provided. Their installation price was at the very bottom of the range I was expecting, they spliced numerous pieces together and made it look seamless, and they improvised when some of the materials didn’t fit properly. The end result was a first class job that looks great. From the on-site survey; to the scheduling, coordination, and communication; to the finished product, we’re grateful, impressed, and 100% satisfied (and we’re not easily 100% satisfied). The last roofing/siding/gutter/window/door company you’ll ever need! 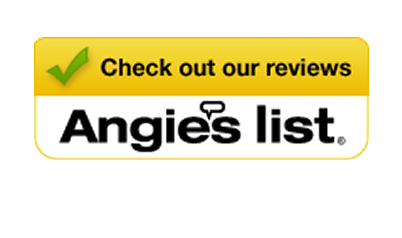 Your company recently replaced the fascia/rake boards, repaired our chimney cap and ridge vent, as well as, replaced a couple of shingles over the garage on our home. Your crew did an excellent job. The workers were very professional, on time, and the guys stayed on the job until they were done and cleaned up. Your price was very reasonable. We would have no hesitation to recommend Peak Roofing for any and all roofing repair work. We are definitely a satisfied customer. I believe the first person I spoke with was Sara. She was prompt and courteous. Peak was also busy but she sent out David as promised. David is a neat guy. Also prompt and courteous. Climbed on a steep roof and gave me the no-nonsense version of what it would take to do it right. I had absolute confidence in his assessment. The weather was not cooperating and Peak was busy so it took some time for the repair to start. But once you locked it in, it happened as promised. You have been a pleasure to deal with. Antonio and Antonio came out on a not-so-great day and got it done. I was nervous for their safety but it was clear to me that they knew what they were doing. I am not able to see the repair but there is no question in my mind that it was done correctly. They were courteous and cleaned up the site. You’ve got a great operation and exceptional employees. I would not hesitate to call Peak again or to refer Peak to any prospective client. Feel free to share this or post this as you wish. Peak installed 12 shutters in place of the originals that had been blown and fell off. Installing shutters at a forty feet level was a challenge, and even some contractors like An Exterior refused to do the work and turned away. I am happy with Peak Roofing. They did exactly what I wanted, and the best quality work at the best cost on time. I will have them do another two more projects. I rate Peak Roofing the highest for their business and service practice in this area. I am pleased to write this letter of appreciation for the excellent service and repair work done on my house by Mr. Donnie Miller of your company. Recently my nextdoor neighbor had some repair work done on the roof of his house by your company and since my neighbor was very satisfied with the work he had done, I saw this as an opportune time to have some work done on the roof of my house. The repair needed was to correct a flaw in the control of the down flow of rain water to a diverter. The flaw was apparently done at the time my house was constructed in 2002. I discussed the problem with Mr. Miller and he promptly went up on the roof of my house to check on the problem. He explained the problem to me and at my request gave me a written estimate for the repair work (which I accepted) and scheduled the date to do the repair. Mr. Miller was prompt in returning on that date and performed the necessary repair in a very proficient manner. The repair he made has corrected the problem. Like many consumers I always seek the best “deal” for products or services for which I have a need. Peak Roofing Contracters, Inc. gave me the quality of work at a reasonable cost. 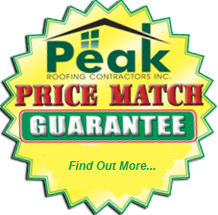 I appreciate the service of your company and therefor, I recommend Peak Roofing Contractors to anyone in need of Peak’s services. Thanks for a job well done.